Would you help me build a 2014 "over the top" love playlist? Would you help me build a 2014 “over the top” love playlist? 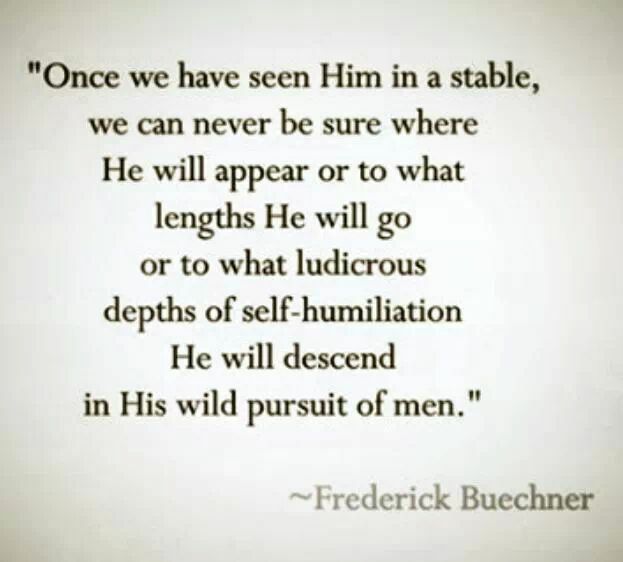 I love the phrase “ludicrous depths of self-humiliation.” I too often forget this about God. This Hosea-like seeking and giving second chances over and over again. This love that makes you look totally foolish. That’s our God. And I want to remember that in 2014. Honestly, it’s an aspect of God that makes me a bit uncomfortable. I’m reminded of the line in The Lion, The Witch, and The Wardrobe, about Aslan being good but not being tame. But I think David tapped into it when he danced his clothes off. How would I live my life if I was firmly convinced that God is crazy in love with me? That he delights in my quirks and individuality? That, like Zepheniah says, He will rejoice over me with singing? To help me remember this in 2014, I’d love to build a Spotify playlist. Would you help me? I’m looking for songs that celebrate this aspect of God’s love for us. I immediately think of songs like John Mark McMillan’s “How He Loves” with lines like “He is jealous for me” and “Heaven meets Earth like a sloppy wet kiss.” Especially: “I don’t have time to maintain these regrets when I think about the way that He loves us.” Kim Walker and David Crowder have also done versions of this. What other songs should be on the playlist? If you were building a playlist about over-the-top love, what other songs would you add? Worship music, pop music, I’m not really particular where the songs come from. Leave them as a comment here, tell me on Twitter @marcapitman, or send me an email marc@fundraisingcoach.com. I’d love to know the song, the artist you prefer, and the reason you think it fits. After it hits 5 or 6 songs, I’ll share my list on Spotify. I plan on continuing to add to it throughout the year. For crying out loud, He loves us! Love this, Marc! I’m preaching on Sunday and will likely steal that quote — it goes nicely with my talk. Here’s something for you in return: Your Love is Strong by Jon Foreman. Also, I’ve likely played this for you before but you can’t go wrong with Farther Along by Josh Garrels. Your quote from Zephaniah made me think of this song by Nichole Nordman and Bethany Dillon called “Sing over Me.” When I went to the album, right above it I saw “How Deep the Father’s Love For Us,” which is another great one. And I have two more favorites that fit: “One thing Remains” from the Bethel Loft Sessions album and “Love that will not let me go” by Sandra McCracken. Great idea, Marc. Sounds like a great playlist. Yay! Thanks so much, LeAnna! !